Verdict: 3.3 / 5Starting to find a formula that works, The Unexpected packs a lot of fun into 32 pages whilst moving the story forward sufficiently enough that we're not lost in the chaos. The Unexpected #4 continues to work on its formula, finding a much-needed groove that looks to define how the rest of the series will unfold. Developing a tonal language that is becoming more consistent with a stronger direction, the writers here are showing they have a long-term plan for these characters and this story and it works well to continue to add fun and unexpected wrinkles to the narrative. This month in The Unexpected, our two heroes find themselves in Gotham, as their tour of the DC Universe continues. It is this issue that we truly start to understand the mechanics of this series as pieces start to fall into place as to why certain character decisions were made. Upon landing in Gotham, both Firebrand and Neon are met with The Huntress, who has very simple motivations; to protect her city from the isotope these two reckless individuals have brought in. With Firebrand’s conflict engine acting as a writer’s tool to fuel battles between two heroes, the two go to war before Signal comes in to break up the fight and restore order. With the two heroes in tow, Signal and Huntress go to a hideout to try to restore some balance to the isotope, which is become ever more unstable as the conflict around it fuels it. Upon finding that there is someone ancient that they can speak to for more information, the vigilante cove is attacked from Synn and his court. …the series has hit its stride and is likely to do so for some time. The battle here is swift, with Neon channelling some of the isotope’s energy into Synn before sending him and his minions away by transforming them into the light. Neon’s power set is ideal to keep this story moving, becoming a very easy way to continue to dodge threats. Synn’s hunger is only fed further creating a more dangerous villain in the process, one that kills his allies as punishment for their failure. 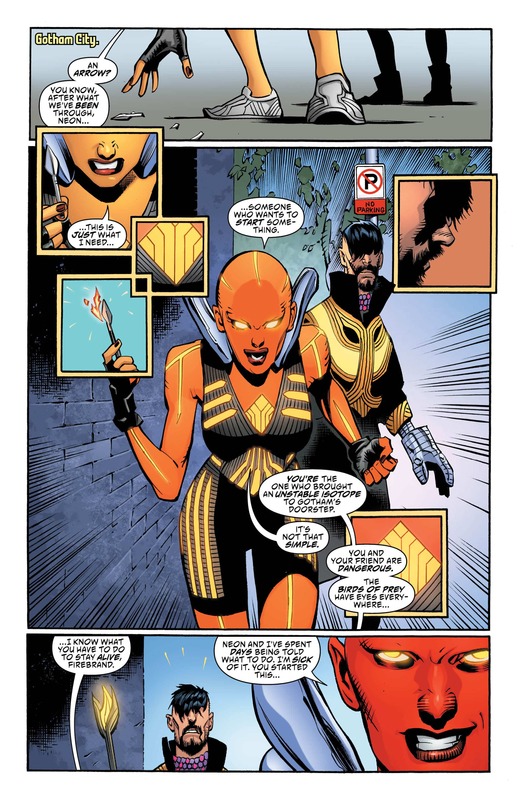 We are then whisked to Hawkman who is the next piece of this puzzle as we are likely to get a few more answers before Synn comes hunting again. 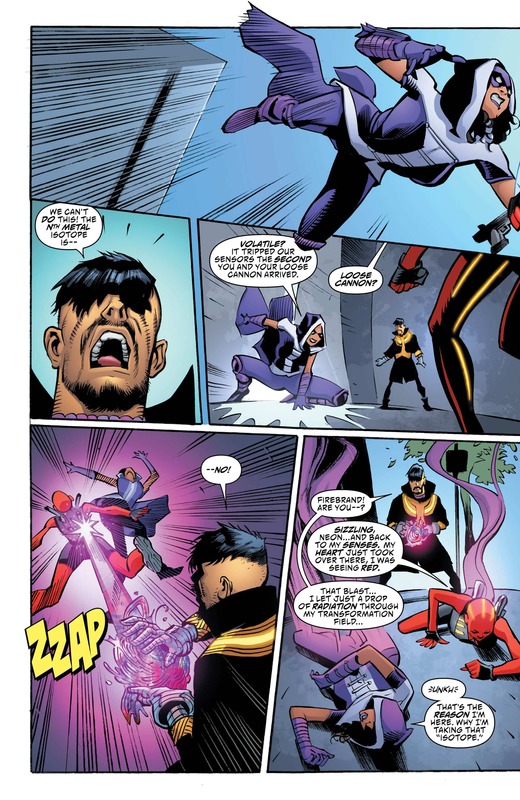 The formula for The Unexpected is now in place, although that doesn’t mean there won’t be a few unexpected twists and turns each issue. This was a lot of fun, with the inclusion of Signal especially being a nice cameo. The artwork, although a little less detailed than usual in places, still held up well and allowed for this story to be told in a vibrant and erratic way, as the tale itself is. There will be something fresh about every issue moving forward if we are to continue to bounce around the DC Universe, but I hope this still continues to feel organic and not a forced attempt to write in every character possible. For now, though, the series has hit its stride and is likely to do so for some time.